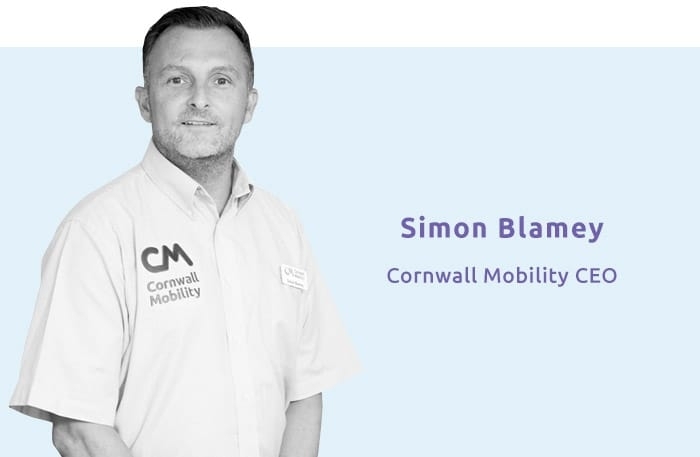 Welcome to the Cornwall Mobility website and thank you for your interest. To provide solutions, services, support and reassurance to people of all ages in the South West who face independent living, communication and mobility challenges. We understand that if someone in your family suffers from sudden illness or debilitation it can be a very difficult time – what support do you need, where can you go to get help, who can you turn to? Although our reputation continues to grow, and many more people now know where we are, there is still a large proportion of Cornwall’s population who are unaware of our incredible centre and the services that we provide. We are located near to the Royal Cornwall Hospital at Treliske - please pop in and see us; there is no need for an appointment and parking is free. You can try out some of the equipment on show and benefit from the advice and professional expertise of our friendly highly-trained staff. As well as dealing directly with members of the public we take referrals from all types of partner organisations including health professionals as well as Motability, car dealerships and the DVLA. We are of course always very happy for you also to visit in a professional capacity enabling you to keep abreast of new developments in this fast moving field. Finally I would like to emphasise that we are an independent charity and are completely impartial in our choice of suppliers of services or equipment. We will always first assess your need before suggesting a solution to meet your particular circumstances. We all look forward to meeting you when you visit. We are located on the Royal Cornwall Hospital campus at Treliske in Truro. We have 22 dedicated, highly experienced and committed staff members who deal with the multiple facets of mobility and independent living. Our centre includes a showroom for independent living and mobility equipment, and extensive workshop facilities. We have adapted vehicles available for assessments and driving tuition. There is also a large conference room available for hire. We are a member of Driving Mobility as well as the Healthcare and Assistive Technology Society (HATS). To make a donation please visit our charity mission. Q Do you service or repair equipment? A Yes, our workshop team is eager to assist. Q How do I arrange to have adaptations fitted to my vehicle? A Please contact the Driving Department to arrange to have an assessment (if you have not already been assessed).